We are smaller and kennel free! 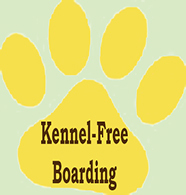 Are you looking for a smaller, kennel free environment for your Best Friend when he can’t travel with you? We board dogs and your pup will feel right at home in our cozy garden suite. 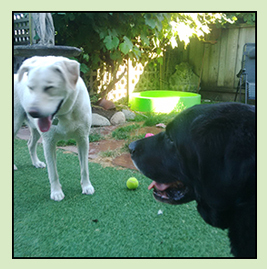 With free range access to the doggie bedroom, office and k9 kitchen, your dog can relax on a fluffy bed, play with a friend, or lounge in our private and secure back yard with an antler in the sun. With plenty of trees, foliage, doggie pool and toys that we provide, your best friend will feel like he is on vacation, too! On weather permitting days, the back door is left open for them to go outside or stay indoors. This is a great option for dogs who might want some space from the others. There is plenty of room to go be quiet while the others play! 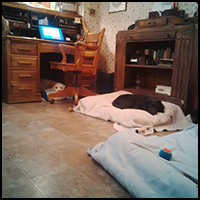 Young or mature, for one night or one month, we can accommodate your dogs’ specific needs. What should my dog bring for his overnight stays? Your dog can pack light – only his food, leash and his jacket for group hikes (if he has one) is needed. We provide all the toys, beds, blankets, bowls and antler chews. This not only makes it easier for you, it prevents resource guarding among our guests because all these items are neutral territory and do not belong to any one dog in our care, therefore, they all share toys and beds happily and peacefully. We are pleased to dispense any medications or supplements that your pup might be on. 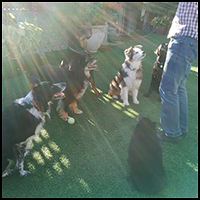 We feed the dogs together in the k9 kitchen and Alessandro supervises this social exercise. 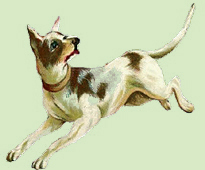 Feeding times are morning and evening but if your dog’s feeding schedule differs we can accommodate that. Rates for Overnight Boarding services are $40/24 hour period + gst. 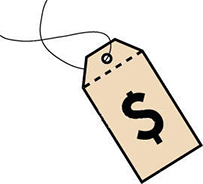 Daycare charges may be applicable on the final day at $15 up to 4 ½ hours, $25 up to 9 hours and $30 up to 11 ½ hours. Add a reduced rate Group Hike for $17!